We are inside. They are outside. Video 01 – Two men watch how a group of people walks by. 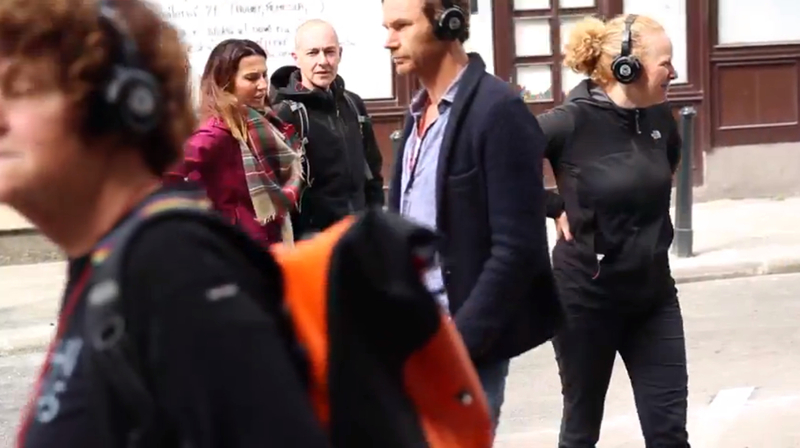 They wear headphones and participate in the first edition of Talking in Town, a public talk and walk about the relation between public space and scenography. Of course these men don’t know this. Video 02 – A man and a woman are passed by the same group.